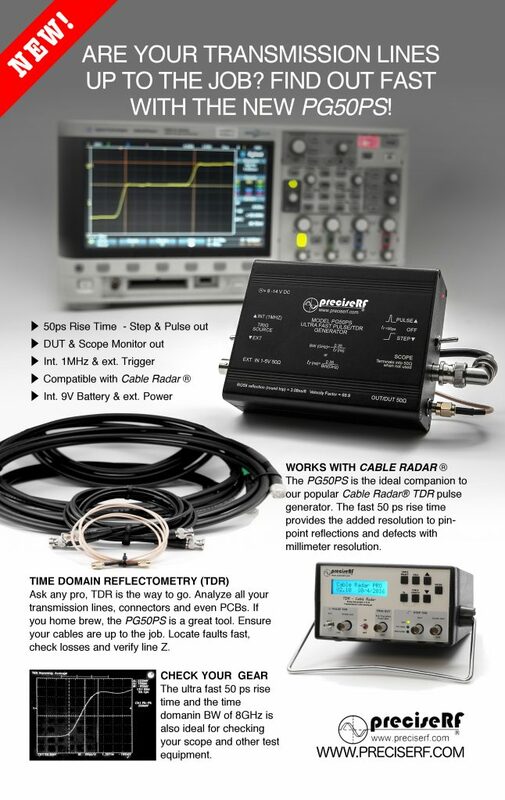 We are excited to announce three new products at the Seaside Oregon SEA-PAC ham radio show. Call or visit us at our display in Seaside and check out these new products. We will have inventory in stock for immediate delivery. The New PG50PS is an all new ultra high performance pulse/TDR generator for testing transmission lines, your scope and other test gear. The PG50PS TDR combines the pulse generator, the devise under test (DUT) and scope monitor outputs. This keeps the scope input at 50 ohms which allows for superior distance and impedance resolution and accuracy. TDR is the only way to check the entire length of a transmission line in one quick test. The new precise Loop is available in two models, the High Gain LOOP and the SOTA Loop. The High Gain LOOP is optimized for perfomance and higher power, weighing 4 pounds. The SOTA Loop is optimized for QRP power, lower cost and lighter weight at 3 pounds. These new Loop antennas raise the performance and value bar for the Magnetic Loop Antenna (MLA). 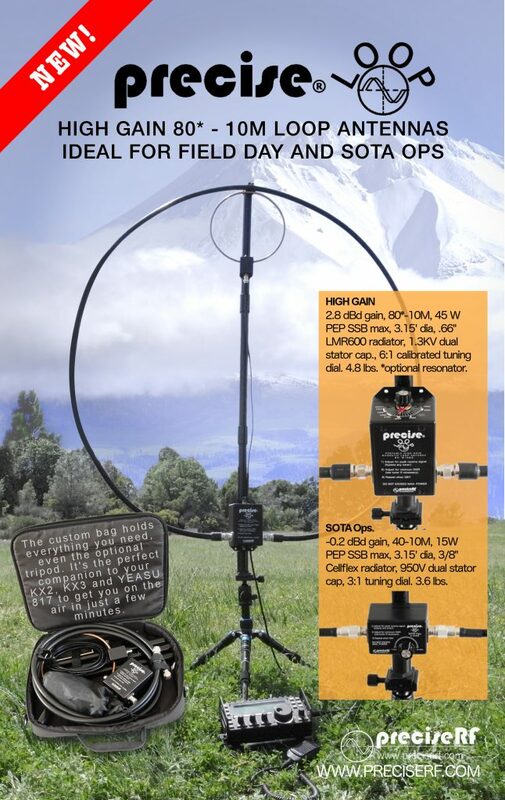 The preciseRF Loops are convenient, light weight antennas, which can be deployed quickly and are ideal for use in places where HOA restrictions make full size wire antennas impossible, or where there just is not enough room to erect a conventional antenna. Many operators favor the MLA for field day and SOTA operations. ← Happy 2017 – Let’s all make America Great again!